An employee benefits administration expert with an out-dated look and feel needed a new brand presence. At the heart of employee benefits is employees. 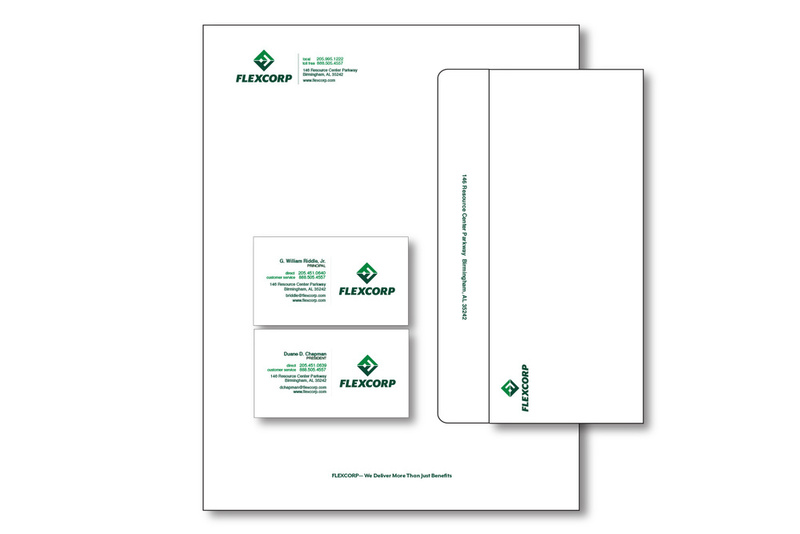 We looked there for Flexcorp’s real story and created a brand that fit like a tailored suit. Small, agile, and ready to jump when serving the unique needs of their clients (everyone from Fortune 500s to regional universities). FLEXCORP deserved a brand that updated them from stodgy HR guys to smart HR consultants with clients’ needs in mind. FLEXCORP offers real, live benefits to its clients—human contact, years in the business and a real desire to serve a business’s specific HR needs. Corporate chest beating, industry jargon and flat-eyed stock imagery were just plain wrong for them. We created a brand strategy that defines FLEXCORP in terms of the real “benefits” they offer, plus a clean new look, smart web presence and some modern business communication pieces that trade the typical corporate colour scheme (stuffy navy blue and maroon red) for a vital palette of “alive, kicking and here to help” greens.